Hive World’s 6 Litre Top Feeder comes complete with lid and bee saver. The top feeder is the easiest style of feeder for the beekeeper to manage and is commonly used by commercial beekeepers. 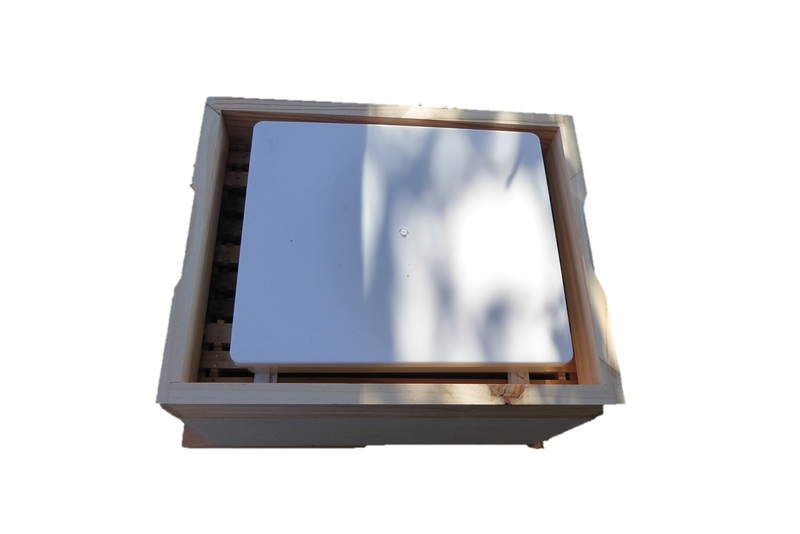 Our model comes with a fitted lid to keep the sugar syrup clean and provide extra protection for the bees. It also prevents the bees getting into the sugar syrup if you are simply sitting the feeder on top of the frames. However, we recommend placing the feeder on top of the hive mat and making a small hole to allow the bees access to the feeder. You are then able to remove the hive lid and refill the feeder without bees getting into the syrup. The fitted bee saver prevents the bees from drowning when they are accessing the syrup. 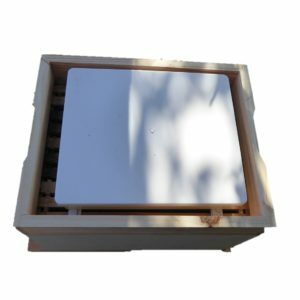 Our 1/3 Depth Super is specially made to go with the top feeder and give you space on top of the hive for the feeder to sit. For quantity pricing please contact us. fitted entrance guard/bee saver to prevent bees drowning when accessing the syrup. comes with lid to keep the sugar syrup clean and provide extra protection for the bees. This also prevents risk of robbing. 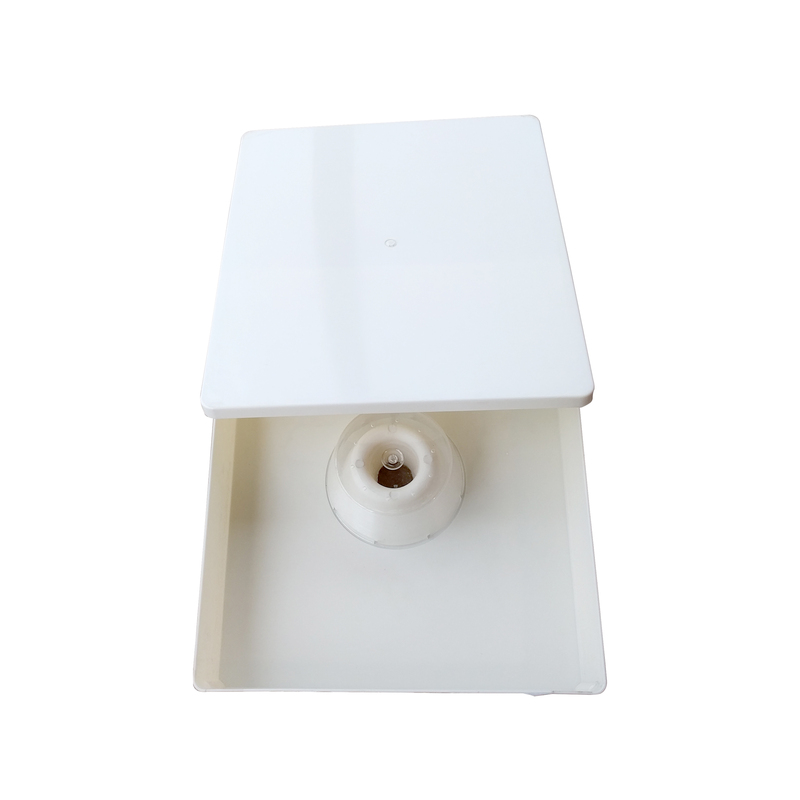 this is the easiest way for the beekeeper to manage feeding as you can refill without disturbing the hive. the hive is not chilled when you need to refill as the hive mat is still covering the boxes where the bees and brood are. We recommend placing the Top Feeder on top of your hive mat and making a small hole to allow the bees access. Our 1/3D super is just the right size to surround your top feeder.